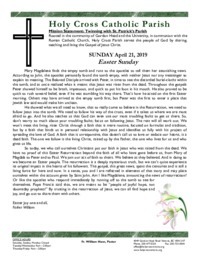 The weekly bulletin, as distributed on Sunday, is provided here for reference. Information on the specific activities of clubs and schedules of service can also be found in the main web site. To add an item to the bulletin, please contact the main office before 12 PM on Wednesday for inclusion in the following Sunday’s bulletin.